Landlocked Botswana is a country of contrasts. More than 80 percent is referred to as a desert—the Kalahari Desert—yet it is not a desert at all. Despite the endless distances of thorn tree and scrub, the red sand of the Kalahari contains substantial woodland and other vegetation, and conceals boundless wealth in the form of coal, methane, copper, and diamonds. Culturally, the people are overwhelmingly Bantu, but they are by no means a homogeneous group, except by classification in the broadest ethnic terms. In Botswana there are more than twenty tribes and twenty different, though sometimes related, languages. At independence in 1966, Botswana was one of the poorest countries in the world; it was also one of the most traditional and conservative. In the years since independence the country and its economy have made extraordinary strides, and Botswana is rightly seen as a model of democratic, planned development. But, for all that, traditional values lie close to the surface, often barely concealed beneath a veneer of modernity. Culture Smart! 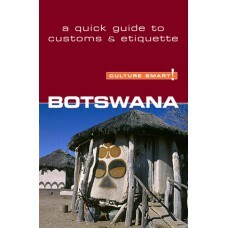 Botswana introduces you to the lives of the people. It looks at the history that has shaped society and shows the importance of traditional customs and values for both travellers and business people alike. 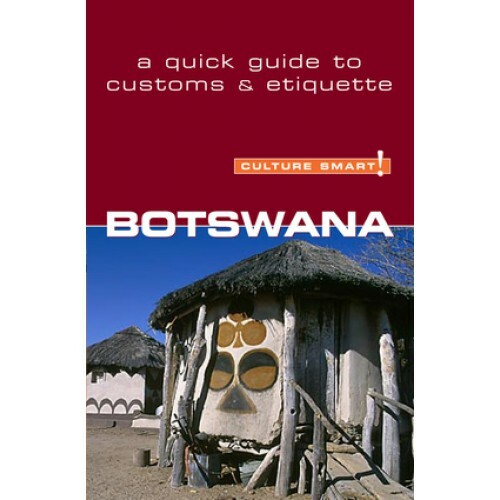 It describes how Batswana live, work, and play, and how to avoid the pitfalls of cultural misunderstanding.